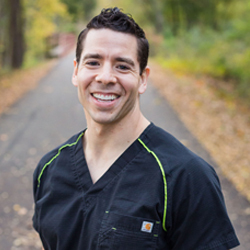 Each of our valued team members is expertly trained in their field to provide the most relaxing dental experience. From our front desk team to our dental assistant and hygienists, our patients receive first-class treatment during every aspect of their visit. View our employees’ bios below to get to know our team better. Nicole is a Dental Hygienist and graduated in Dental Hygiene from Northeast Texas Community College 2008 with an Associate Degree in Applied Science. One of her most rewarding things about being a hygienist is the relationships that she develops with her patients. She enjoys getting to know each patient and their families. She gets to become part of their family and they become a part of hers. Nicole is excited to educate her patients on the importance of oral health and help individualize goals for each patient to achieve the best oral health possible. Nicole and her husband, Josh, have four children; Rhett, Casen, Carson, and Blakely. She loves spending time with her family and friends, with four children there is never a dull moment in her house! Mendy is a Registered Dental Assistant with 22 years experience and is certified by the Texas State Board of Dental Examiners. She is also certified in Radiology, CPR and Nitrous Oxide administration. As the Office Manager and a Registered Dental Assistant, she has the opportunity to work with each patient in a very personable way. Mendy states that the patients at Paris Family Dental are what make her job an exceptional place to work! When she isn’t working, she loves spending time with her husband and her twin boys. Paula is a Registered Dental Assistant who joined the Paris Family Dental team in 2016. She graduated from Paris Jr. College in dental assisting in 2013. Her favorite part of dentistry is helping patients achieve and maintain beautiful healthy smiles. Paula is married to her best friend Anthony, and they both live in Cooper, Texas with their sweet dog named Chewy. In her free time Paula loves spending time with family and friends, as well as shooting archery, shopping and doing crafts! Born and raised in Northeast Texas Tara brings 24 years experience to our team. Her experience includes general, pediatric and, temporomandibular joint dysfunction dentistry. Tara is compassionate and enjoys getting to know patients. Outside of the office, she enjoys spending time with her family and various outdoor activities. Stacey has 6 years experience in the dental field. Stacey prides herself on advocating for our patients to make sure that their insurance benefits are fulling maximized and that they feel welcome from the moment they step in our door. When at home Stacey enjoys life with her husband Doyle and their two teenage daughters. In her spare time, Stacey enjoys watching her kids play sports. Tiffiny is one of the first friendly faces you will meet when you walk in our office! Tiffiny will help answer any questions you may have regarding your appointment and ensure that each visit you have is a positive one! Tiffiny enjoys getting to know our patients and their families as well as listen to their stories and build relationships with them. She joined the Paris Family Dental team in 2017 and brings over 13 years experience with her. Tiffiny is married to Dan, they have a daughter named Morgan and a son named Mason. She enjoys spending time with her family camping, shopping with her daughter, and watching her son play baseball.